For the international performance art festival Hitparaden 2, curated by liveart.dk, we are showing our performance The Cave. The work is a tribute to the origins of art making and explores liminal states of human and non‐human existence and of becoming other. 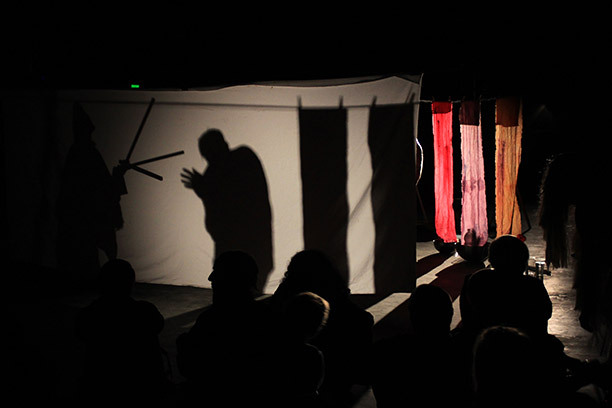 Over the duration of 17 min a stage is created as a living tableaux transforming the space into a temporary cave. 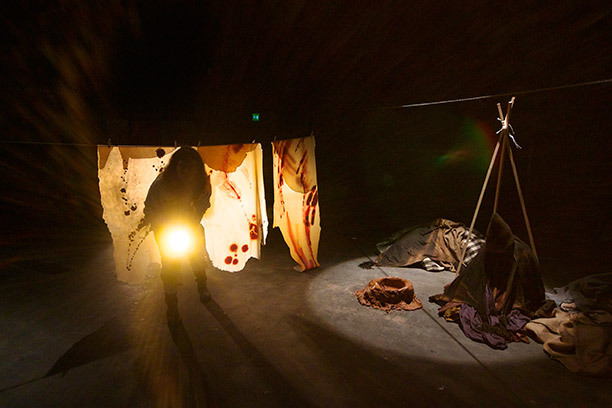 Five distinctly costumed characters inhabit, explore and construct The Cave as they interact, handle materials and paint each other in a slow and yet dramatic choreography structured by light and sound. Performers: Linards Kulless, Christoph Mühlau, Philip Roitmann, Janne Schäfer, Mette Schwarz. Light on stage: Kristine Agergaard. Sound support: Matthias Wyder.